Lebanon, IN- Chad Boespflug kicked off the USAC race Friday at Bloomington Speedway by breaking his existing track record. A lap that would hold up for 2nd quick overall in Fatheads Eyewear Qualifying. After transferring through his heat to the AMain Boespflug started 5th after the invert. Track position was key with the top being the better line early in the race and he fell back to 7th before moving to the top. As the race proceeded he attempted to battle through heavy lap traffic, but was unable to advance before the checkers flew. Saturday with the threat of rain and wet grounds Tri State Speedway was forced to postpone the USAC/MSCS event until June. Boespflug and EZR capitalized on the rain out and made the decision to use the local race at Lawrenceburg Speedway as a test and tune for the upcoming USAC National race this weekend. Boespflug made mention - "This is the best I've felt at The Burg in years. We needed to be a bit better, but I am looking forward to the upcoming weekend." Lebanon, IN - We are pleased to welcome Tel Tac as a Supporting Partner of Chad Boespflug. Tel Tac has offered an American made component for over 25 years for both professional racers and hobby enthusiast. Leading the industry in an all self contained unit Tel Tac offers multiple tach options depending on style of racing. Here at NineEight Motorsports and EZR we use the Tel Tac OTP to help maintain proper engine tuning throughout each run. The quality and dependability of the OTP is why we choose to have this component on each of our cars. Whether your an open wheel racer, drag racer, tractor puller, or hobby lover with the need for speed Tel Tac has a product to offer you. The RPM recall allows you to tune your car correctly. Tel Tac offers products compatible with 4,6, & 8 cylinder engines using either magnetos or distributors. 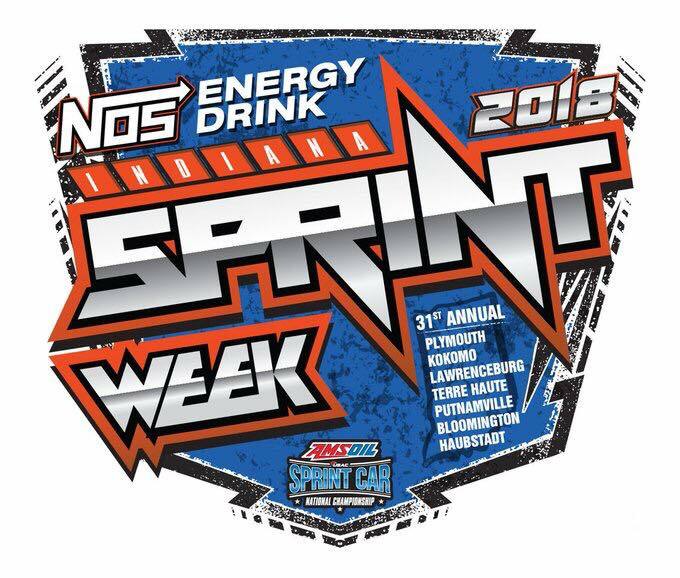 Visit the Chad Boespflug Merchandise Trailer at Eldora Speedway May 11th & 12th to get up close and personal with the AMSOIL Display Sprint Car.